joanneum research entwickelte im rahmen eines eu-weiten forschungsprojektes ein automatisches, computergestütztes filmrestaurierungsverfahren. ziel: ein film ohne fehlstellen; ziel des künstlers: ein film ausschließlich aus fehlstellen. in kooperation mit joanneum research. 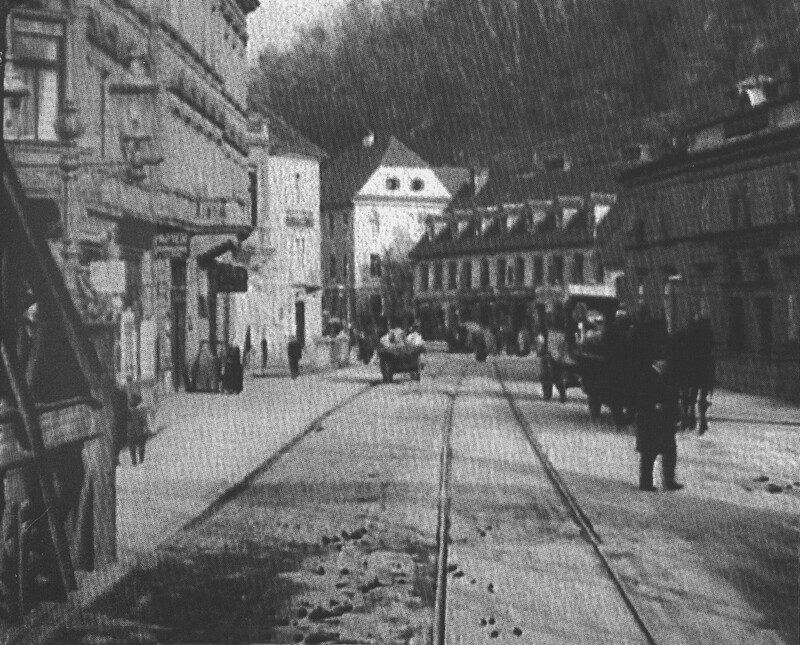 within the context of an eu research project, joanneum research developed an automatic, computerised film restoration process. the objective: a film without any imperfections; the artist’s objective: a film made entirely of imperfections. the research project proposes to restore the “original state” of the film in half-automatic, digital ways. i.e. to compensate for loss of information. this is the field of the technicians. 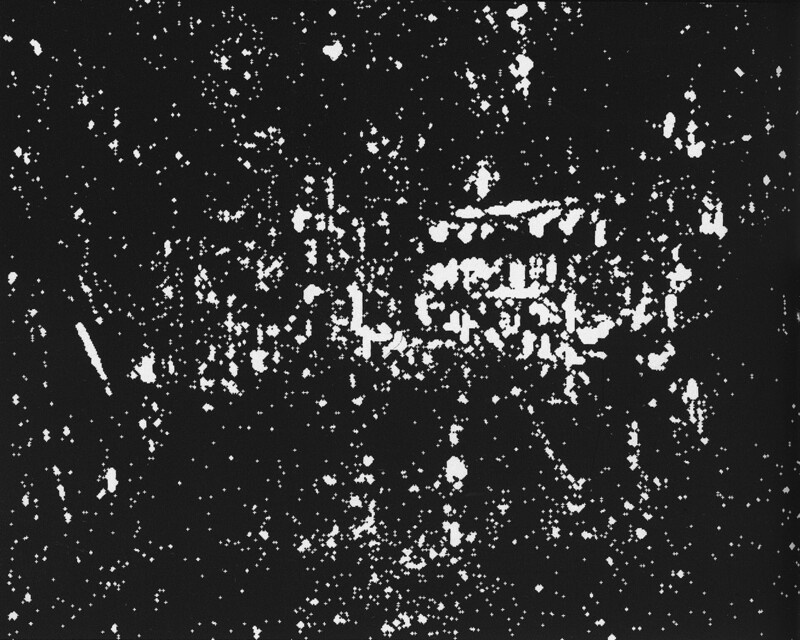 within the context of the digital image manipulation the artist ascribed a greater importance to the loss of information than to the production of the original state, i.e. the “negative information”. 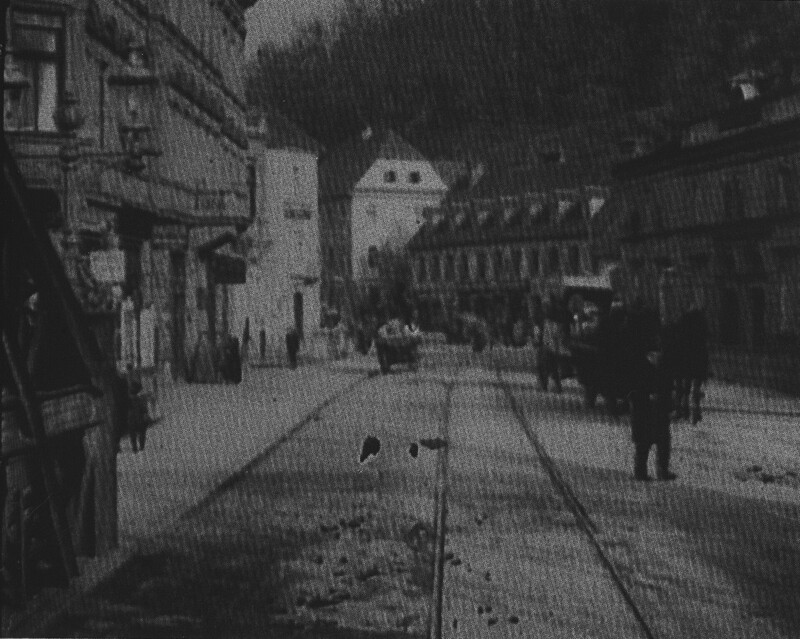 alongside the automatised production of the film’s original state, for the first time an automatic “negative information film” was produced.